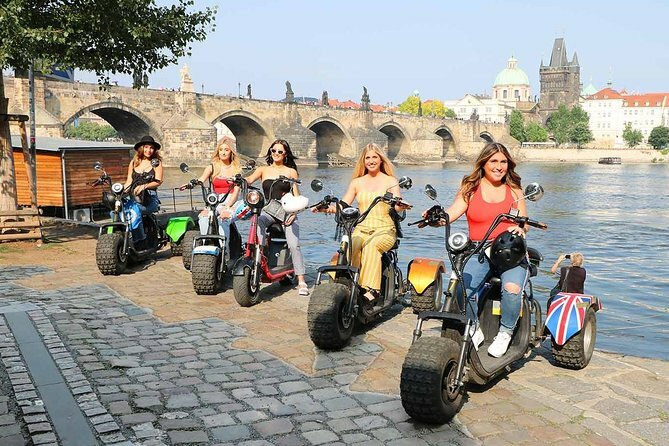 Begin the exploring the Heart of Europe with the 2H of Trike-Harley City Experience. Get to introduce to the major landmarks such as the Old Town area, Prague Castle, and the Lesser town area, by taking pictures on the way. Start your trip with your personal tour guide by riding the tiny cobbled streets in the Old town area and head up to the legendary Prague Castle complex, where the jewelry of the Gothic architecture - the glorious St.Vitus Cathedral is placed. Get to walk around is the largest functioning castle in the World and learn the history of the sites. Get to see the Strahov Monastery compound and the lush surrounding Petrin Hill, as well as the Strahov brewery, is a delightful find in the bustling city of Prague. The brewery dates back to the 15th century and offers traditional and special seasonal beers. Pass through one of the former vineyards of King Charles IV and enter to the locality called Lesser town with its hundreds of historical monuments. During your ride enjoy a range architectural styles and most popular viewpoints to the oldest Charles bridge. Drive around riverbank and pass the most exclusive boulevard Parizska. Get to know the lifestyle of the former Jewish Quarter and visit the most famous place is Prague- Old Town Square.